Spellcheck in our Polymail Web and Mac apps checks spelling for languages currently installed on your device. (Note: we don't check for grammar.) 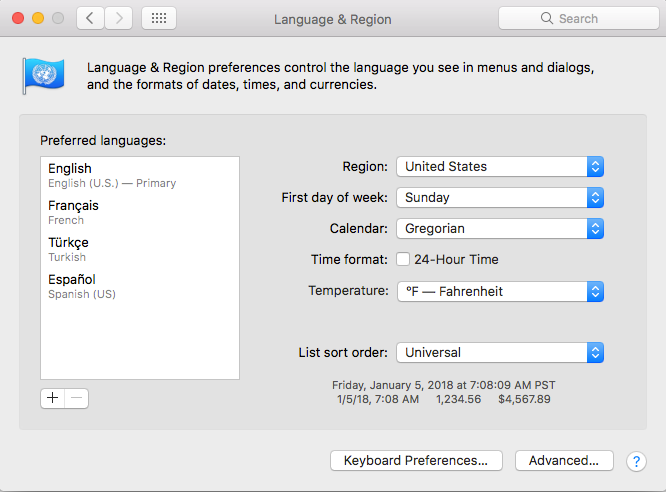 You can check which languages you have installed by going to your computer's Language and Region settings. You'll have a default language and perhaps a few other languages, too! You can use multiple languages in the same email. We won't be able to detect / correct multiple languages used in the same sentence, however.